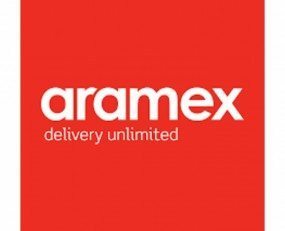 Aramex has released its financial resuls for the third quarter of 2018. Revenue for the quarter rose by 8% to AED*1,239m, compared to AED 1,143m in Q3 2017. Revenue for the nine-month period ending September 30th also increased by 8% to AED3,661m, compared to AED3,397m year-on-year. EBITDA increased 32% year-on-year in Q3. Aramex’s International Express segment saw double-digit growth, up to AED543m, an 18% increase when compared to Q3 2017. This performance is credited to the growth in international cross-border e-commerce across all regions, most notably from Asia and Turkey. The Domestic Express business dropped slightly, down 3% compared to Q3 2017. Despite the growth across most of Aramex’s core markets, the down-scaling of operations in India as part of restructuring as well as currency exchange fluctuations impacted the quarterly performance. Aramex’s Freight Forwarding business remained stable, rising by 2% to AED292m. Aramex has focused on diversifying across different geographies and strategic sector verticals, including Oil and Gas, Healthcare and Pharmaceuticals, Aerospace, and Retail. The Logistics and Supply Chain Management business saw growth of 14% to AED76m, this can be attributed to demand created by the UAE, Singapore and Africa, for warehousing and other value-added services. Global e-commerce, digitisation and restructuring initiatives are some key factors Aramex believe have resulted in this growth.